2018 was our first year and it was a tremendous success. Initially we wanted to do ‘more than nothing’ and we did much more than that. We had a couple of interviews about men’s day. and radio interview with Dad’s On the Air Australia. International Men’s Day NZ also made it to mainstream TV. Breakfast and Seven Sharp both had short segments. Unfortunately, the hosts didn’t know much about men’s day so we will have to be more proactive about informing people next year. Flipping the Switch: Ever thought about living a life less stressful, or maybe the sheer cost of renting / owning or making ends meet is starting to get to you ?Phillip Sheehan and his family “flipped the script” and found another way to live that is outside the box. Men’s Wellbeing in Hawke’s Bay, How are we doing? 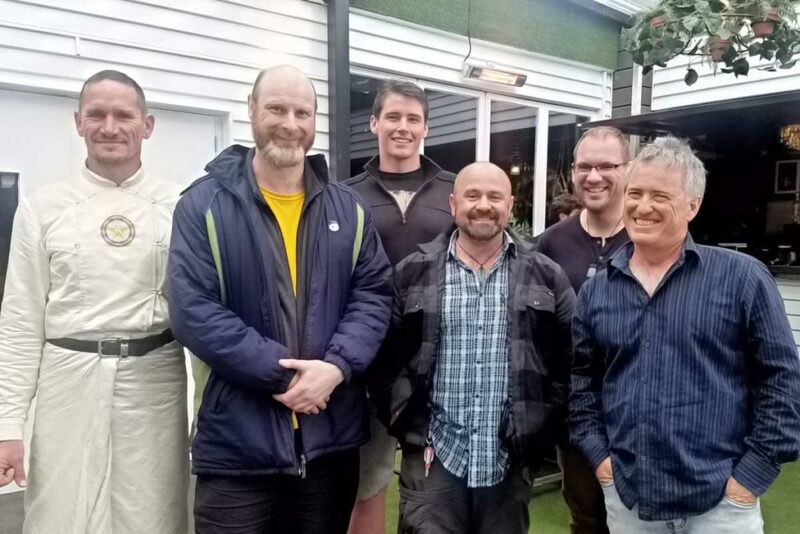 Malcolm Byford, Kurt Fenton, Joe Whare talked to health workers, organisations and individuals working in or supporting Mens Wellbeing in our community. We had a biker run with more than 20 riders which raised over $400 for Male Survivors of Sexual Abuse. We also had a get together for a drink and a chat. We ran a competition online for a $100 gift card. People submitted stories about the men they admire. There were some beautiful stories of some fantastic men. We got interviewed by Dad’s on the Air. An Australian radio program. 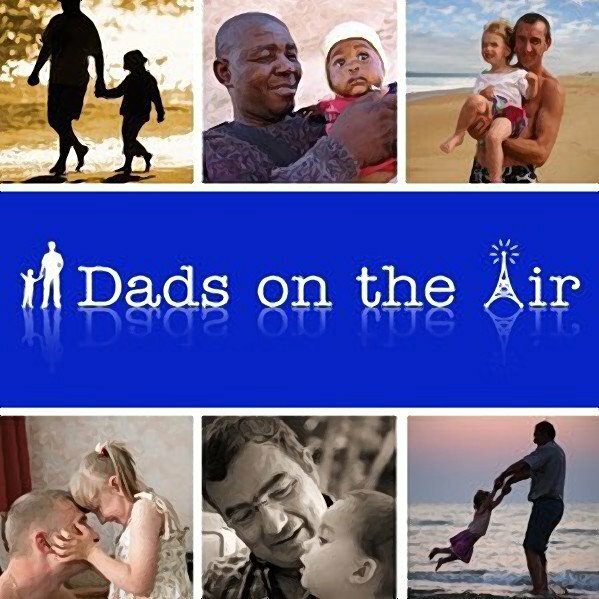 Dads on the Air is a community radio program dedicated to fatherhood and issues surrounding men and boys. 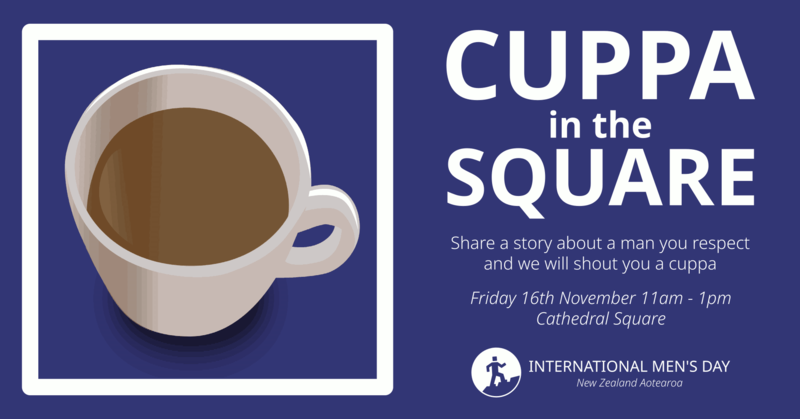 In this program, we chat with Donald Pettitt and Iain Fergusson about the New Zealand celebration of International Men’s Day. The Kiwis have developed their own approach. Donald and Iain tell us that over a cup of tea locals are asked to describe an important male in their life and the response has been inspirational. There is a biker ride and other activities which are all part of the celebration. Our guests emphasise that the day is for everyone to participate in and enjoy. 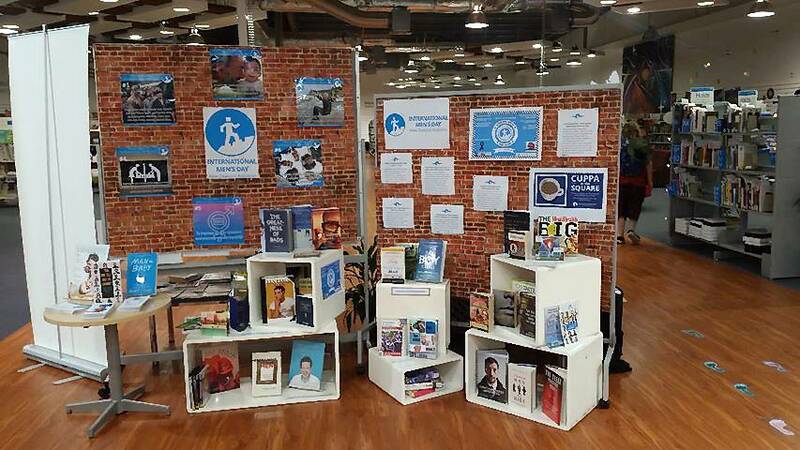 Thanks to Lorna at Linwood Library for such a great display! Iain spent a few minutes having a chat with Chris Lynch about International Men’s Day in New Zealand. Mens Wellbeing in Hawke’s Bay, How are we doing? 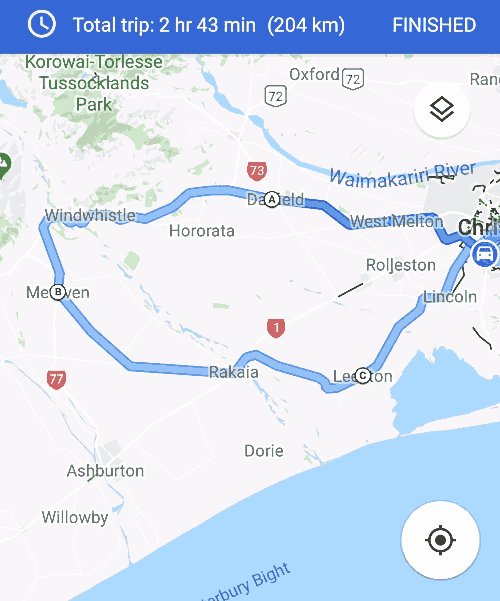 Here’s an event in Hawkes Bay. Guest Speakers: Malcolm Byford, Kurt Fenton, Joe Whare. 10 am Monday 19th, St Andrews Hall 208 Market Street Hastings. For all health workers, organisations and individuals working in or supporting Mens Wellbeing in our community. See this Facebook event page for more info. Great to see Kids Need Dads Hawkes Bay taking the initiative and having an event for international men’s day. 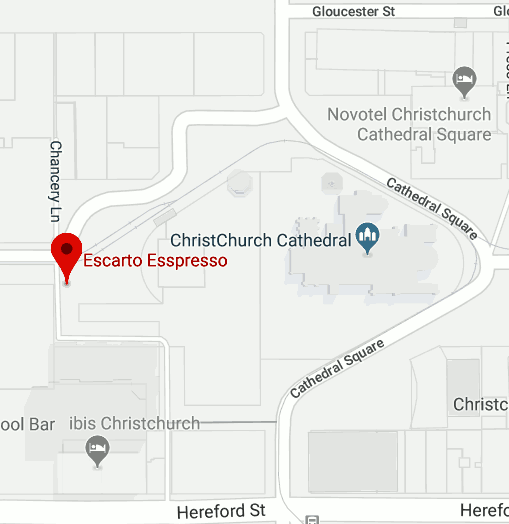 We will be near Escarto Espresso on the Worcester street side of the square. What is International Men’s Day? 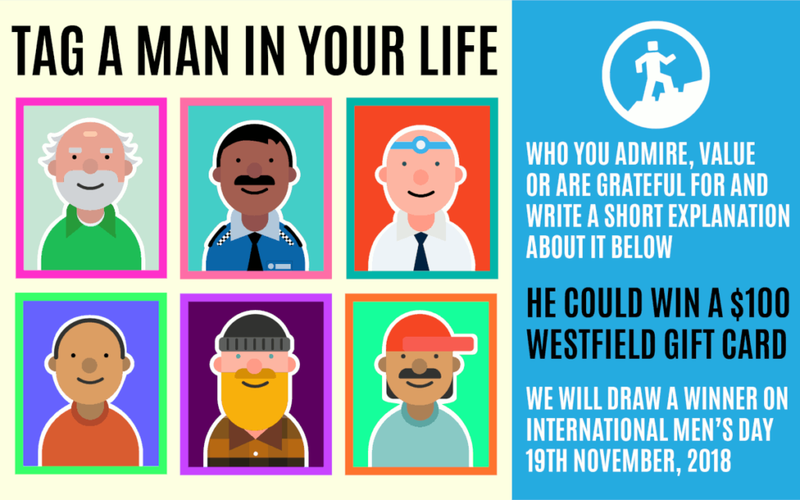 International Men’s Day (November 19th) encourages people to make the world a better place by supporting men. It reinforces and supports other efforts to make society fairer, safer, and improve wellbeing for everyone. Men’s day is a grassroots event. It is open to people of all genders, races, ages, sexualities, etc. If you want to do something positive to support men and the wider community then please do it. In fact, if you want to use men’s day as a reason to do something positive to support women then go right ahead! 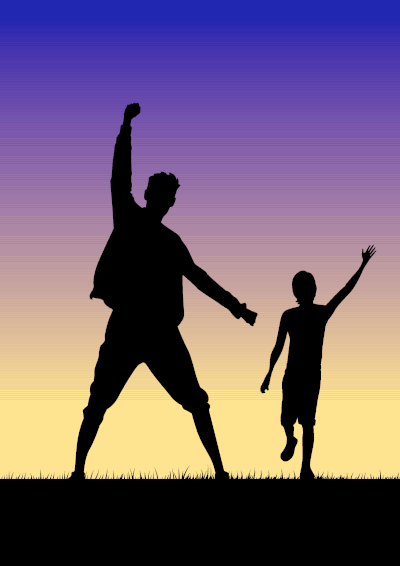 Men’s day founder Dr Jerome Teelucksingh wanted the day to be one of unity and solidarity between people so International Men’s Day supports everybody who makes a positive contribution that builds community and understanding between people. It is open to all people regardless of whether they identify with ‘men’s rights activists’, feminists, left-wing, right-wing etc. International Men’s Day fully supports International Women’s Day as an important day to highlight the ongoing issues facing women. 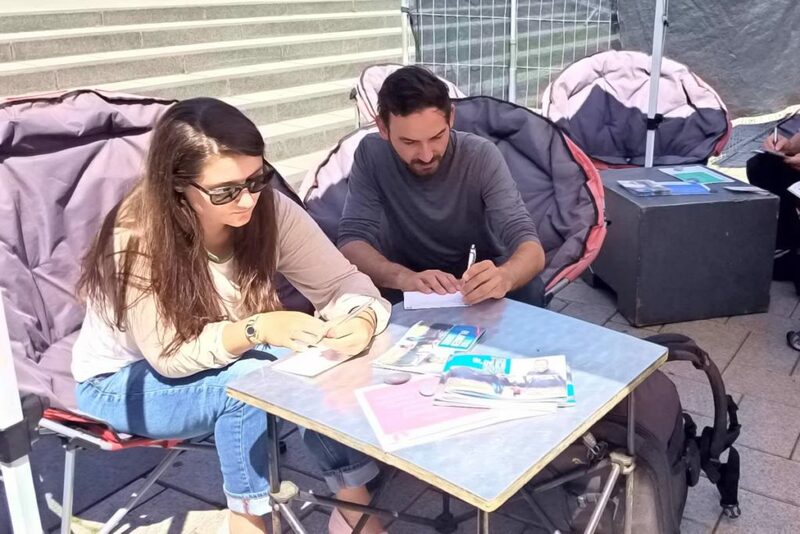 It strengthens International Women’s Day by giving space for the discussion of men’s issues away from the discussion of women’s issues and promotes the discussion of how men can support women, gender equality and make society better for everyone. International Men’s Day breaks with traditional stereotypes of masculinity by promoting discussion about the negative aspects of traditional gender roles for men, encouraging the men to talk about being vulnerable, and supporting men in non-traditional roles. The grassroots, inclusive nature of International Men’s Day allows people to define ‘man’, ‘manhood’ and ‘masculinity’ in ways that make sense for them. Everybody has their own understanding and can participate in their own way. A big thanks to Max Gills of Monark Design Co. for working with us on the logo. Check out his Instagram here.